PC Cable testers are employed to test the strength and connectivity of your PC cables and connections. 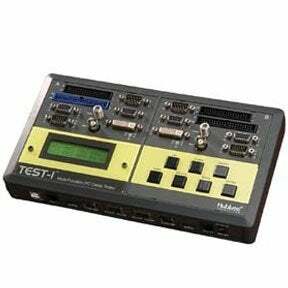 At SF Cable you can find various PC Cables testers including PC cable tester pro with ATA and other products as well. SF Cable sources all products from ISO 9001-2000 registered manufacturers to keep the prices competitive. All our products are RoHS compliant that speaks for the safety of the product. You can also expect good after sales service and lifetime technical support on all our products.